In the simplest form, a crypto-wallet is a place to store and trade cryptocurrency. It also works as the ledger that stores public and private keys and allows users to trade crypto-coins. The authorized access is the most important aspect of the process to keep the trading process safe. Some wallets allow users to use multiple cryptocurrencies in a single wallet. Software wallets are most commonly used as crypto-wallets. A dedicated application is installed locally on the computer or the private keys are stored by a third party source in a web-wallet. On the other hand, hardware wallets create payments through the API of the wallet and the public keys are sent to the network after being signed by wallet’s hardware. The wallets which are connected to the internet are known as hot wallets whereas the cold wallets are not connected. As the crypto-coins are not actually inside the wallets, losing the access to the wallet doesn’t necessarily mean the loss of money but losing the keys can prove to be detrimental. In future, cryptocurrency is expected to be used while listening to music, watching videos or traveling from one place to another. The applications will have their own mechanisms for payments which will replace the bank accounts and middlemen. This will help greatly in managing investments and also in doing the analysis of investments. People will feel to be in full control of their accounts in the absence of a centralized authority. Getting the services from networks will be different as people will contact developers if they need a secure place to store personal data. Marketing strategies will also be transformed with the change in consumer experience. 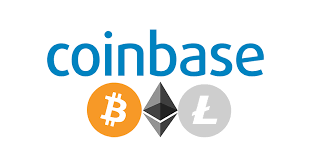 Coinbase is estimated to have around 13 million customers in more than 30 countries. The most outstanding feature of this wallet is the option of recurring investments that can make the funds increase rapidly. It supports transactions across Bitcoin, Litecoin as well as Etherium. The wallet is available in more than 190 countries. If you want to trade more cryptocurrencies then we recomment Binance with this referral code. At the moment, electrum is only available on Android and desktop platforms but it is expected to expand on other platforms too. It also allows users to use third-party plugins of hardware wallets like Trezor etc. This is an open-source wallet but ensures the security by using only the verified servers which offer better optimization. It is estimated to have more than 14 million customers worldwide. The simplicity and security are the core features of this product. Mycelium is considered as one of the most reliable choices available when it comes to ratings given by the users. It also supports third-party plugins and is expected to give an optional link to connect debit cards in the near future. Coinomi is a multilingual wallet that supports all the currently available cryptocurrencies and exchanges can be made using ShapeShift. The security and secrecy are the significant features of this wallet. It is designed to discourage IP tracking to make the whole process of transaction extra anonymous. Lykke is a rapidly growing multi-asset wallet that allows users to buy, sell or trade: FX currencies, bitcoins, ethers, or tokens. Users can manage their existing wallets with better security options. It is an open source wallet available on iOS as well as Android platform. Under the effective leadership of Dr. Demetrios Zamboglou, Lykke won the FinTech of the Year Award in Digital Championship Cyprus 2016-2017. Zamboglou is credited for his unconventional and relentless approach for making Lykke a competitor for the giants of the market within no time. He is hopeful of making all the transactions made through Lykke available in blockchain to make it transparent and accountable. Mobi is essentially a Bitcoin wallet and now supporting an excess of 100 currencies across the globe with the use of Visa debit card. International transactions have become a lot easier with the use of Bitcoins. The instant crypto-conversions have revolutionized the whole idea of cross-border transactions.